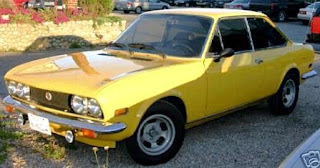 1972 Fiat 124 Sport Coupe - I've always liked the 124 Coupe. Not as popular as the Spider and very rust prone, there are very few of them left in the US. As the seller of this one writes, "99.9% of Fiat 124 Coupes (in the world) have gone the ashes to ashes, rust to dust route (in their first ten years or less)." This is a very nice 124 Coupe. It is basically rust free, although the seller mentions some surface rust that has recently appeared. ("Though she has been stored in a heated garage better than half of each year, there are now a few bubbles of surface rust coming up scattered around the car just from sitting outside in an occasional summer rain and the general humidity.'") Rust on a Fiat should be attended to right away because, as Neil Young wrote, "rust never sleeps" and one morning you'll wake up to find holes in the car. Located in West Swanzey, New Hampshire, click here to see the eBay listing. 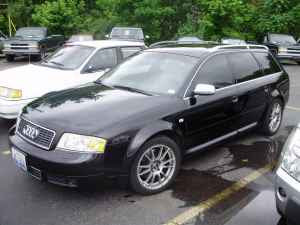 2002 Audi S6 Avant - I love fast cars. I love the cargo capacity and versatility of station wagons. I love cars that can go through all the snow, sleet and ice we get here in New England in the winter. This is pretty close to the perfect car in my mind. The S6 Avant gets to 60 MPH in about 6.5 seconds. The top speed was limited to 155 MPH. This S6 Avant is being offered by a Ford dealership. It has 104K miles on it and appears to be in very good condition. It's an automatic, but Audi's automatic was of the tiptronic variety, so you can manually shift it if you want. Located in Belleville, IL, click here to see the Craigslist listing. 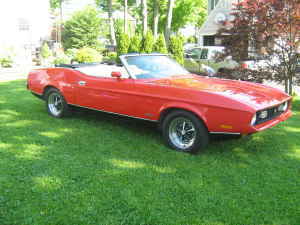 1972 Ford Mustang - This is an interesting Mustang. It has a 351 Cleveland engine, but it has a 3 speed manual transmission. You have to wonder what the logic of the original buyer was to go for a V8 but not a 4 speed or an automatic transmission. This is a really nice looking old Mustang. I may be in the minority, but I like the looks of the bigger, early 70s Mustangs. If you're looking for a rare Mustang, this one may be for you. According to the seller, this is 1 of only 83 cars to be configured this way in 1972. Located in Hamburg, NY, click here to see the Craigslist ad. 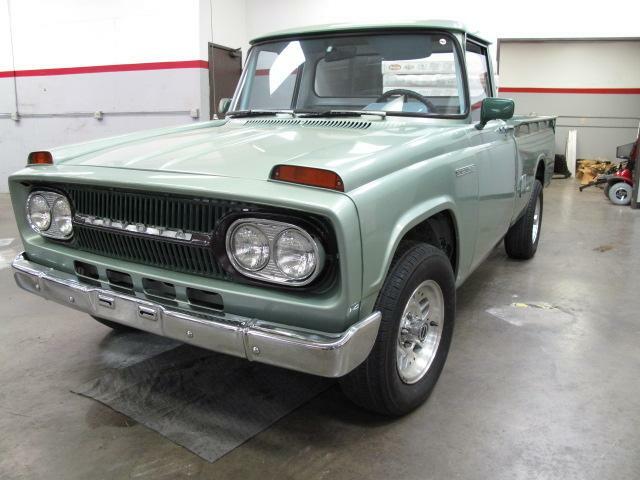 1966 Toyota Stout - The seller writes, "So Ugly its Cute !!... Not on the Recall List ! BE THE ONLY KID ON THE BLOCK WITH ONE OF THESE !!" I'm pretty certain you'd be the only one in your town, maybe your state, possibly your time zone with one of these. The Stout originally came through with a 4 cylinder Toyota "R" engine. This one now has a V6 in it, but the seller doesn't mention who made it or how big it is. This truck also now has power steering. 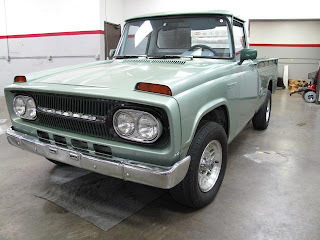 If you're looking for a very unique old truck that you could drive often, you may never find anything better than this. Located at AAA Motors in Valencia, CA, click here to see their ad. What an interesting Mustang! I'd love to know the history. Why a big V8 and a 3speed? With all that torque, a long final drive and a wide ratio set, three is all you need! The offered four speeds of the time mostly had taller first ratios than the threes as well.